The growing demand of IPv4 addresses, fueled by the exhaustion of worldwide pools, has led to the development of a growing private marketplace. At IPv4 Mall, we are recognized as one of the leading IPv4 brokerage services that have been providing clients with IPv4 leasing, buying and selling services at the best prices. Buying IPv4 addresses from us is as simple as getting in touch. We maintain a wide network of internet service providers and networking experts along with individual IPv4 sellers who are more than willing to assist. Whether you want to get in touch directly with the buyers or want us to take over the buying process, we can help you out. The best part about choosing our services is that we cut out all the hassles behind IPv4 purchasing and make sure that you experience a truly streamlined purchase process. 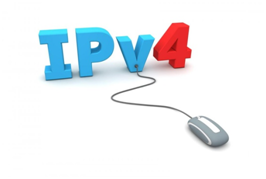 Over the years, we have developed a solid network of IPv4 sellers. Every day we help over hundreds of clients sell or purchase IPv4 addresses easily. What does this mean for you? Highly competitive rates! 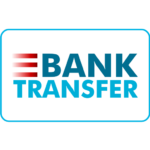 More than often, we are able to help provide our customers some of the most competitive rates in the market due to the volume of IPv4 transactions we conduct on a daily basis. When you get in touch with us, you can be sure that you’ve made the right decision. Specialized Procedures Designed To Facilitate You! When it comes to IPv4 buying and selling, we are the pros! This is truly evident by the simple buying selling procedures we implement through our website. As soon as customers get in touch with us with their needs, we start looking through our network to identify sellers who have IPv4 addresses available. This is not it. We make sure that the prices are right in accordance with the private marketplace so that you get the best value for your money. Most of us are well aware that with the infrastructural changes involved, migrating to IPv6 is not the answer. In such a case, it is a sound decision to invest in unused/used IPv4 addresses only from a reliable source. Feel free to get in touch with us if you need any more information.